Once you’ve used good light modifiers and lights, it’s hard to go back to anything else. 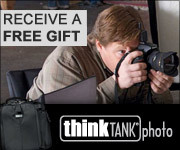 This is a nice setup for the beginner / hobbyist photographer who wants high end quality light at a low end price. Indoors in almost all home studios the 400W/s lights included here are going to be PLENTY of power (in fact, you’ll probably rarely run them at anything greater than 50% power and still be able to pull off f/9+ @ ISO 100 with a decent lens). I don’t personally own these and I have not tested them, but I’ve seen work from friends who have used them and I’ve been quite impressed. My lighting setup is all Elinchrom based and after using I couldn’t go back to cheap Alien Bees lights (except maybe the Einstein's) and there’s NO WAY I could live without my Elinchrom light modifiers. I always poo poo’d those who said that lighting modifiers from one brand to the next didn’t matter – until I had a chance to use the good stuff. It DOES matter – big time! This isn’t an official review or firsthand testimonial, but instead it’s just food for thought that I think beginners who are considering cheapo alternatives should consider. This gets your foot into the door of a first class lighting system for much less than you’d spend for a pair of 600EX-RT or SB-910 flashes! 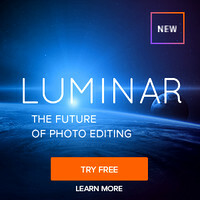 They can also be a good portable system for Elinchrom users who want to leave their high-end lights at home, but still use the good lighting modifiers (which is really the most critical element of your light setup). Don’t take my word for it though, just look at the reviews on B&H and Amazon. They also include a DVD to help get you started on how to get pro caliber results right away. 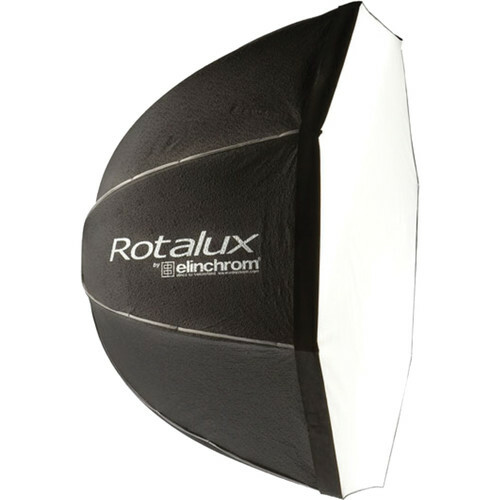 Click here to order the Elinchrom D-Lite RX 4 2-Light To Go Kit at the B&H or Adorama. If you don’t have any already, you’ll want to pick up a couple sandbags too. 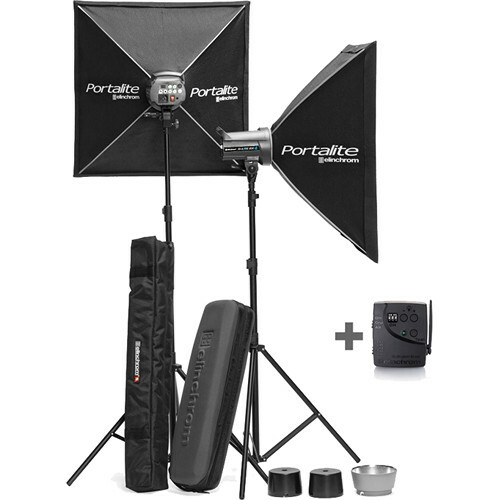 Ron’s Studio Lighting Gear List – This isn’t everything I have these days, but it’s a good start. See what’s in my bag for a more comprehensive list.